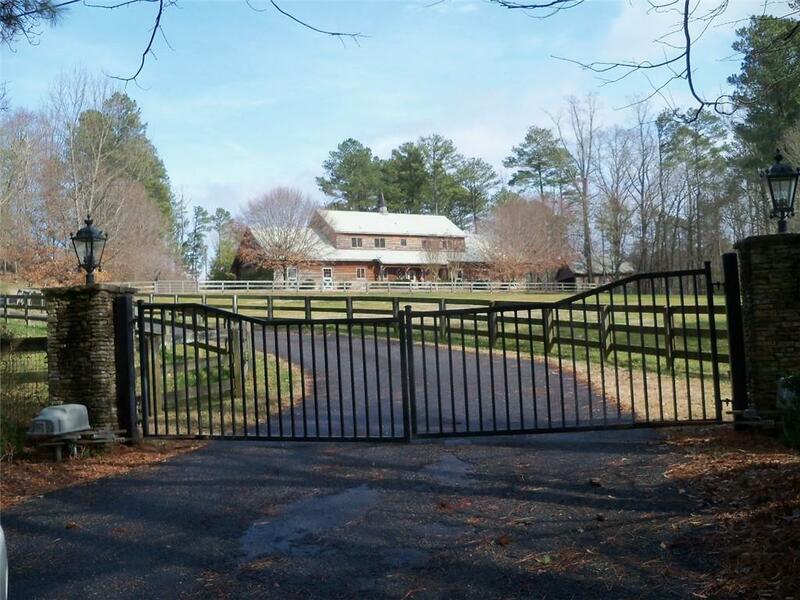 Hill Bright Farm - Premier Equestrian Estate! Custom built w rustic charm replicating Highlands lodge. Rough-cut pine exterior/stone accents. English Country interior/heart of pine flooring. Casual elegance abounds! Owner's home offers master on main, split bedroom plan, additional suites up and above garage.Large guest house next to main house plus 100 yr old home fronting Wilkie Rd. Immaculate 10 stall barn/climate controlled tack rooms/automatic watering system/bathroom/office/ full 2 bedroom living quarters above. Riding arena/Multiple pastures, fully fenced.